Here is étude No. 14 from Italian flutist and composer Giuseppe Gariboldi's Twenty Studies, Op. 132. 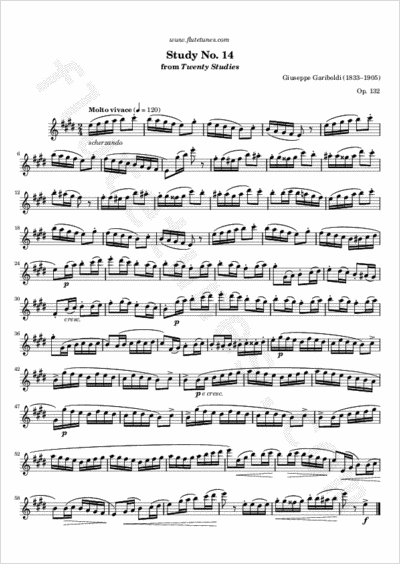 It is marked “scherzando”, an Italian term that literally means “joking”; therefore, this study should be played in a very brilliant style, and at a fast tempo.